A Moscow court has sent the cases of three suspects in the killing of Russian opposition leader Boris Nemtsov for retrial, ruling their arrests illegal. However the alleged murderer, Zaur Dadaev, has again retracted his confession. Another hearing in the case of Nemtsov’s murder took place at the Moscow City Court on Wednesday. The judge decided the law enforcement officials had no grounds to detain Khamzat Bakhaev, Shadid Gubashev and Tamerlan Eskerkhanov. Their cases will now be reviewed by the city’s Basmanny Court, which initially sanctioned their arrest. The hearing will take place on April 7, with Bakhaev, Gubashev and Eskerkhanov remaining in custody until then. The defense lawyers protested the arrests, citing family reasons and their clients deteriorating health. The investigators warn that if released the suspects may attempt to flee, destroy evidence and threaten witnesses. The Moscow City Court confirmed the arrests of the suspected murderer, Zaur Dadaev, and another prime suspect, Anzor Gubashev, and ordered they be remanded in custody. Investigator Anton Migunov said in court that Dadaev is “cooperating with the investigation,” giving repeated confessions, implicating his guilt in the crime and the involvement of other defendants. However, Dadaev again refuted his confessionary statement when he appeared before the judge. “My testimony was given under pressure and was dictated to me. There are no witnesses. I have an alibi – at the time of the murder I was at home,” Dadaev stated before the court. The suspect said he was detained on March 5 in Magas, the capital of the Republic of Ingushetia in Russia’s North Caucasus. He was held captive for two days before being delivered to the Investigative Committee’s headquarters in Moscow. "I was kidnapped by unknown people and wrote a confession directly as told under threat of murder and the murder of a friend,” he said. Dadaev added that a witness in the case, “who was at the crime scene, failed to identify me,” Russian news agencies reported. The suspect said he has written a complaint over the abusive practices used against him, and this will be handed to relevant authorities by human rights activists. 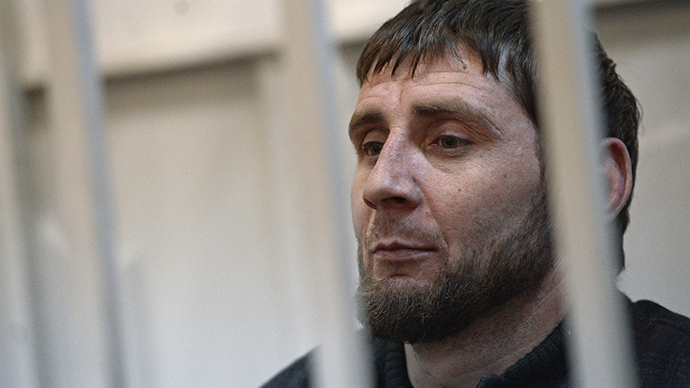 Shortly after his arrest, Dadaev confessed to Nemtsov’s murder, but later took his words back, claiming his confession was forced on him by the authorities. He maintains that he and two other suspects, Anzor and Shagid Gubashev, were beaten up and tortured, “including by electric shocks,” during their detention. But the human rights activists from Moscow's Public Monitoring Commission (PMC), who visited them behind bars, said that they couldn’t find any signs of violence applied against the detainees. In response, investigator Migunov stressed that Dadaev’s “involvement is confirmed not only by his confessionary statements, but also by testimonies of the witnesses and the results of medical examinations." Law enforcement authorities are in possession of other important evidence in the case, which haven’t yet been disclosed for reasons of confidentiality, he added. "The investigation of the criminal case continues, the investigative activities are being performed actively, including those aimed at establishing those who ordered the killing,” the investigator said. Several motives for Nemtsov’s murder have been mooted, including revenge over harsh statements against Muslims after the Charlie Hendo attacks, the politician’s business activities, and a possible assault related to his personal life. But the investigators now believe it was most likely a contract killing, Migunov said in court. 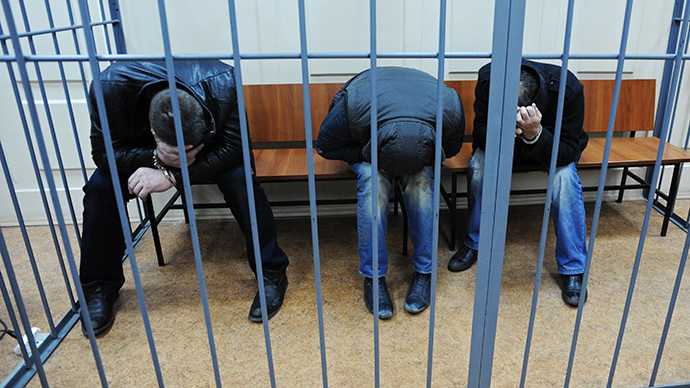 On March 8, Basmanny Court sanctioned the arrest of five people – Zaur Dadaev, Anzor and Shadid Gubashev, Khamzat Bakhaev and Tamerlan Eskerkhanov – in connection with the Nemtsov murder. The criminal proceedings were launched on charges of murder committed by a group of persons either for motives of self-interest or on contract. They were also charged with the illegal acquisition and storage of weapons. If convicted, the suspects may face sentences from 20 years to life. 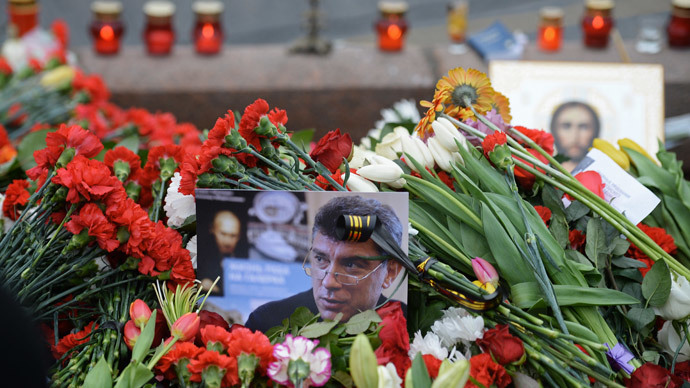 Boris Nemtsov was shot dead on Bolshoy Moskvoretsky Bridge, near the Kremlin in central Moscow, late on February 27, two days ahead of a scheduled opposition rally in the capital. Nemtsov, 55, gained popularity as governor of the Nizhny Novgorod region from 1991-1997. He also served as energy minister and deputy prime minister under former President Boris Yeltsin. After leaving the government in 1998, he helped create several liberal movements and parties. From 2012, he co-chaired the liberal party RPR-PARNAS (Republican Party of Russia – People's Freedom Party), and was more involved in business than politics.